Dr. Ramaswamy is Director of NOAA’s Geophysical Fluid Dynamics Laboratory and Professor in the Atmospheric and Oceanic Sciences Program at Princeton University. His research interests are the mathematical modeling of the global climate system and advancing the understanding of the physics and chemistry of the atmosphere. He directs one of the world’s premier climate research and modeling centers, developing advanced numerical models for understanding and predicting weather and climate. Ram has been a lead author on the major scientific assessments and was a member of the Intergovernmental Panel on Climate Change team that was a co-recipient of the 2007 Nobel Peace Prize. The emissions of greenhouse gases due to human influences has caused perturbations in the Earth system, initiating major changes in the greenhouse effect, atmospheric circulation and leading to global warming. Other factors such as atmospheric aerosols and land-use change also due to human activity, along with changes in solar radiation and volcanic eruptions causing aerosol increases, have also affected the planetary heat balance. In this presentation, we discuss how each of the natural and anthropogenic factors has contributed to alteration of the Earth system from global to continental to regional scales. We also discuss feedbacks due to the atmosphere and ocean in climate variations and change. The climate variables of particular interest for societal impacts are temperature, precipitation and weather extremes. We use state-of-the-art numerical models of the climate system, together with observations drawn from multiple platforms (surface, satellite and aircraft). We analyze the key drivers over the 20th century, the impacts they have generated and the unresolved issues. We then explore the impacts that are expected in the 21st century. In the context of both the 20th and 21st centuries, we discuss the impacts expected due to global warming and the significance of the resulting atmospheric and climate change for extremes in weather e.g., heat waves, tropical storms, sea-level rise, forest fires, droughts, excess rainfall. This brings to the fore the connection between the scientific understandings of global warming based on rigor and the manner in which climate change impacts society, including that arising due to the non stationary behavior of the changes. Dr. Alexandr I Chernykh is the Director General of the FSBI “TsNIGRI” - the leading enterprise of the State Geological Service of the Russian Federation in the field of geology and metallogeny of diamonds, non-ferrous and noble metals. He holds PhD degree in geology and mineralogy. Dr. Chernykh is a member of the editorial board of leading Russian geological journals, the author and co-author of more than 100 publications. A.I. Chernykh is an expert in the metallogeny and in the mineral exploration and prospecting methods for solid mineral deposits. The Altay-Sayan folded area (ASFA) is composed mainly of the Vendian-Cambrian volcanogenic-sedimentary rocks of oceanic and island-arc complexes and magmatic rocks different age and composition. In the eastern part of the ASFA magmatic complexes of Cambrian and Ordovician age, mainly composed by diorite, granodiorite, granite, break through volcanogenicsedimentary sequences. Formation of these granitoids happened in island-arc and collisional environment. At the western part of the territory granite complexes of the Devonian age are widespread. Mesozoic granitoids which formed in the intraplate conditions are also presented in the region. Metallogenic analysis of the ASFA in general indicates that gold mineralization and partly iron, copper and molybdenum is confined to the areas of granitoid magmatism of different ages. In the western part gold mineralization is confined to granitoid complexes of the Devonian age. Gold mineralization of northern and eastern parts is related to the Cambrian and Ordovician granitoids. In the south-western and southern parts of the region, gold is minor ore component associated with iron, lead, zinc and silver. In the eastern and northern parts, gold is main industrial commodity and associates with copper, molybdenum, iron, lead, zinc. The uneven distribution of the massifs of granitoids determines the patchy gold mineralization with the allocation of ore districts and clusters. There is direct correlation between the volume of granitoid magmatism and the number and size of the gold ore deposits. The main stages of the granitoid magmatism of ASFA determine the main stages of the formation of gold mineralization. 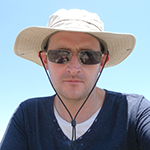 Dr. Michał Woszczyk holds a PhD in geology (earned in 2005) and habilitation in geography (earned in 2016) and currently works as associate professor at the Faculty of Geographical and Geological Sciences, Adam Mickiewicz University, Poznań, Poland. His research is aimed at understanding the functioning and long-term evolution of estuaries with the main focus put on sedimentary and biogeochemical processes. In addition, he is involved in paleolimnological studies of inland lakes. 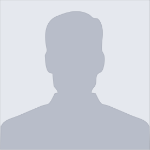 He authored and co-author of over 30 publications. Hypertrophic conditions in coastal lakes (CL) of southern Baltic result in intense productivity of phytoplankton and lead to enhanced sedimentation of labile organic matter (LOM). Microbial degradation of the LOM releases greenhouse gases which are transferred to the atmosphere via molecular diffusion and ebullition. Between 2014 and 2015 seven CLs along the Polish Baltic coast were subject to complex biogeochemical monitoring aiming at estimating annual emission of CH4, CO2 and N2O. It has been established that: CL acts as net sources of CH4 and N2O. The estimated CH4 flux is 16.27±26.56 mgC·m-2·d-1 and N2O flux is 0.76±0.54 mgN2O·m-2·d-1. During summer CL are autotrophic i.e. absorb CO2 from the ambient air and the CO2 flux is -640.4±222.2 mgC·m-2·d-1. In winter CL change to heterotrophic and CO2 flux is 14078.4±7626.7 mgC·m-2·d-1. In CL methane is predominantly formed via acetate fermentation. Biogeochemical processes in CL are to a large degree controlled by wind-induced sediment mixing and the depth of methanogenic zone (MZ) is dependent on hydrodynamic conditions. In non-disturbed sediments MZ occurs c.a. 10 cm below the bottom and diffusion of CH4 to the water column occurs throughout the whole year. In deeply mixed sediments the depth of MZ is higher and diffusion of CH4 to lake water is reduced. Microbial gases are transported from the sediment to the atmosphere via ebullition; however, enhanced turbulence and oxygenation lead to dissolution of gas bubbles in lake water column. Gas exchange in CL is affected by macrophytes via bioventilation. 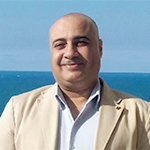 Dr. Ahmed Mohamed Badr-ELDin currently works as Lecturer of Marine Geology, Oceanography, Faculty of Science at Alexandria University. He had received a Ph.D. in Marine Geology from Alexandria University in 2008. He published two papers in refereed journals and Participated in a number of local, regional and international conferences and also supervised four MSC theses in Alexandria University. Ahmed Mohamed Badr-ElDin was awarded a Post- Doctoral Fellowship at Kagoshima University, Japan, 2010. He was also a participant in Erasmus Mobility Programme - Southampton University, Great Britain, 2018. The Lake Manzala lies in the north-east Nile Delta region, between latitudes 31° 00ʹ - 31° 35ʹ N and longitudes 31° 45ʹ - 32° 15ʹ E. The Lake aquatic system is highly dynamic; however, it has been heavily affected during the last few decades by the continuous surplus of untreated industrial, domestic and agricultural land-based discharges. The current work investigates the foraminiferal assemblage distribution and evaluates the foraminiferal community responses to environmental stressors in Lake Manzala. Sediment samples were collected from 25 stations, distributed throughout the lake, during 2014. Foraminiferal community structure, organic matter and heavy metals, including Fe, Pb, Cu, Cd, Zn, Ni and Co were analyzed. The results revealed that the Lake Manzala sediments are characterized by high organic matter and heavy metals concentrations. Species richness is low in all stations; indicating that the lake is under severe ecological stress. The lowest diversity exists in the east and south sectors of the Lake which are characterized by low salinity and high organic matter and heavy metals concentrations. Dwarf and brittle tests are the direct response to low salinity and anoxic conditions. The euryhaline species, Ammonia tepida, dominates the foraminiferal assemblage in this brackish-water ecosystem. The scarcity of sensitive Miliolids and living individuals are also considered an indication of the ecological stress in the lake. The increase in Foraminiferal Abnormality Index (FAI) and the severe deformation are related directly to increase in heavy metals contents. In conclusion, this study indicates that foraminiferal assemblages are a reliable bioindicator to multiple anthropogenic stressors in Lake Manzala. Dr. Muhamed Fakhri Omer is currently working as Assistant Professor at the department of geology, Salahaddin University in Erbil, Iraq. He worked as Lecturer at the department of geology, Salahaddin University in Erbil, Iraq (2004). He has participated in many local and international conferences with oral presentations and workshop activities. He has published many papers in the Journal of African Earth Science, Arabian Journal of Geosciences and Turkish Journal of Earth Sciences in 2014, 2015, 2016 and 2018. The Ordovician deltaic to shallow marine Khabour Formation in Northern Iraq consists mainly of sandstone with minor siltstone and interbedded shale. The sandstones are pervasively cemented by quartz that resulted in very little preserved primary porosity. Cathodoluminescence and petrographic studies showed that the silica cementation occurred in five successive phases which can be distinguished by their luminescence pattern. The precipitations of two phases have predated the major compaction process while the other phases are younger. The successive phases represent a sequence of changes in silica supply which were classified as very early and early, derived from dissolved biogenic silica that precipitated as opal/micro quartz, possibly pre-compactional and of nonluminescent quartz overgrowth type. This was followed by phases whose silica supply derived from pressure solution of quartz, dissolution of feldspar and hydrothermal fluids related to major thrust fault event. These successive quartz cement phases showed an increase in luminescence and the development of complicated zonation pattern in late-stage quartz cementation. 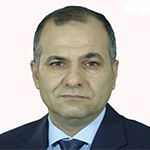 Dr. Siaisi Kociu had been director during 1993 at Seismological Center, Tirana, Albania and he had been Professor and Head of the department of Engineering Seismology at Seismological Institute, Ac. Sc., and Tirana, Albania. New Madrid Seismic Zone (NMSZ) in the United States, is one the most active dangereous seismic zones, where NS and EW highways are crossing. According to the satellite data in this zone, during the strongest earthquakes of 1811-1812, a lot of liquefaction phenomena were observed in the Missisipi embankment. Based on historical and intensity data, the moment magnitude of the strongest shock of 12/16/1811 at 02h 15m a.m. earthquake, was proposed to be as Mw=7.0-7.5. As there is a lack of strong motion data, for the study of nonlinear site response analysis of two sites under bridge construction, synthetic accelerograms were used. For determination of soil profiles, SASW technique was used and compared with other in-situ techniques. This paper focuses on the engineering significance of the geophysical methods used for the purpose ground response analysis. Author of this paper participated in FHWA project for bridges in NMSZ with a research team of Missouri UST, in Rolla. Anikin Evgenii was born in Ulyanovsk, Russia in 1995. 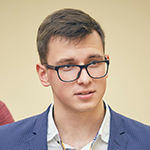 He has received a bachelor’s degree at the Moscow Institute of Physics and Technology (MIPT) in the field of applied mathematics and physics in 2017. He is the winner of the competition “UMNIK” 2017 from Innovation Promotion Fund. In 2018, he has participated in the plenary session from the Russian side at 3rd BRICS Young Scientist Forum BRICS (South Africa). He currently works as research assistant in the Center for Molecular Electronics at MIPT since 2016. Research interests include electronics, hydrodynamics, electrochemistry, applied physics, seismology and signal analysis. High-precision seismic angular motion sensors are capable of substantially change the instrumentation base of modern seismic. The use of such sensors in composition of modern seismic complexes will increase the efficiency use of natural resources, accelerate exploration, reduce their cost, increase the reliability of the data obtained due to higher sensitivity and ease of use. Also angular motion sensors, despite the targeted focus on the seismic, can be successfully used to solve the problems of structural health monitoring (SHM) and also be used to protect extended territories. For use in seismology angular motion sensors should have a sensitivity of about 10-8 rad / s / √Hz and low sensitivity to linear movements. Today does not exist devices meeting these requirements. We conducted a theoretical calculation and an experiment to measure the self-noise of an angular motion sensor based on molecular-electronic technology (MET) with a modified configuration of the electrode grid and connected electronics in the practically important frequency range of 1-100 Hz. We proposed technical solutions for development an angular motion sensor based on molecular-electronic technology with a record low level of self-noise (about 10 -9 rad / s / √Hz). This work was financially supported by the Ministry of Science and Higher Education of Russian Federation under statement #3.3197.2017/ПЧ and by the Russian Foundation for Basic Research under statement #18-55-06021-Аз-а. Dmitry A Chikishev was born in Ulyanovsk, Russia, in 1996. He had received the B.S. degree in applied mathematics and physics from the Moscow Institute of Physics and Technology (MIPT), Moscow, in 2017. He had won grant at competition UMNIK 2017 from Foundation for Assistance to Small Innovative Enterprises (FASIE). 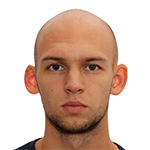 He has been a Research Assistant with the “R-sensors” LLC, Dolgoprudniy, Russia, from 2016 to 2018. 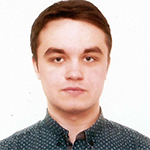 Since 2018, Dmitry has been an Engineer at Scientific and Technological Center of Marine Geophysics, MIPT. His research interests include electronics, electrochemistry, hydrodynamics, applied physics, seismology and signal analysis. Ilya A Evseev was born in Podolsk, Russia, in 1995. He has graduated from the Lyceum №1511 at the NRNU “MEPhI” in 2013. He is a finalist of Intel ISEF 2013. He had won grant at competition UMNIK 2017 from Foundation for Assistance to Small Innovative Enterprises (FASIE). He has received the B.S. degrees in applied mathematics and physics from the Moscow Institute of Physics and Technology (MIPT), Moscow in 2017. He has been a Research Assistant with the Center for Molecular Electronics, MIPT, since 2016. His research interests include electronics, electrochemistry, applied physics and seismology. Modern oil wells are longer, deeper and hotter than ever before. This is due to depletion of easily accessible hydrocarbon deposits and need to develop deep oil and gas fields (≥7км). Such depths are characterized by high ambient temperatures (120 - 260 ° C) and pressures (69 - 241 MPa). That is why the development, operation and probing of deep fields require to use a specific elemental base (classical equipment is not applicable for such purposes). In addition to stable operation at high temperatures and pressures, sensors for downhole sondes should have high sensitivity. In this regard, sensors based on molecular-electronic technology (MET), which have extremely high sensitivity and low self-noise, can be a good alternative to existing solutions , . In this scientific work, high-temperature sensor based on MET has been developed. For the first time, the transfer characteristics of the MET sensor obtained in the extended temperature range (25 - 125 ° C) and external pressure of 10 atm. New theoretical model has been created, based on the obtained experimental data, which allows describing analytically the transfer function of MET sensor in an extended temperature range. A physical model was tested with several alternative techniques. The obtained results will help create a fundamentally new high-temperature sensor based on MET with parameters significantly different from existing market solutions. This work was financially supported by the Ministry of Science and Higher Education of Russian Federation under statement 3.3197.2017/ПЧ and by the Russian Foundation for Basic Research under statement 18-05-70106. 1) 29. Shabalina, A.S.; Egorov, E.V. ; Zaitsev, D.L. High resolution miniature MET sensors for healthcare and sport applications, Twelfth International Conference on Sensing Technology, 2018, Ireland, pp. 287-292. 2) 25. Zaitsev, D.L. ; Agafonov, V.M. ; Avdukhina, S. Yu. ; Egorov, E.V. Broadband MET hydrophone 80th EAGE Conference & Exhibition 2018 11-14 June 2018, Copenhagen, Denmark. 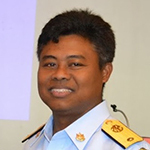 Mr. Suthep Jualaong is Director of Marine and Coastal Resources Research and Development Center Lower Gulf of Thailand. His scientific interest in the taxonomy, diversity, conservation of sea turtle and sea grass. Next to more traditional methods and experiments, he combines natural history information with recently developed collection based macrobenthos approaches for species distribution and indicator of environmental. Dr. Manoranjan Mohanty has completed his M Sc Tech degree in Applied Geology from Indian Institute of Technology (ISM), Dhanbad in 1996. He was also recipient of the Post Graduate Diploma Certificate in Seismology and Earthquake Engineering from International Institute of Seismology and Earthquake Engineering, Tsukuba, Japan. He has also been awarded PhD degree in Seismology from Kurukshetra University, Kurukshetra during 2011. Dr. Mohanty has been working in Department of Science and Technology as Scientist for the last two decades. He was looking after various earth science research related programme of the Government of India. He has also supported various National Facilities for carrying out research in Earth Sciences under Science and Engineering Research Board, a statutory body under DST, Government of India and New Delhi. Dr. Mohanty is currently working as Director in DST and looking after 26 Autonomous Organizations of DST. Earth Science research in India evolved over the years in tune with the trends in the global scenario from studying the geologic attributes and assessing the natural resources to addressing issues related to fundamental processes involving, for example, crustal evolution, geodynamics and other aspects of contemporary Earth Science problems. Apart from various Earth Science institutions the Department of Science and Technology (DST), Govt. of India, has been sponsoring Earth Science research projects in the country and thus playing a catalytic role by providing extra-mural funding. Although the DST started funding Earth Science projects since 1985, the extent of such support increased in the 1990s and thereafter with sponsoring of a number of specialized thematic Earth Science programmes. As a result of these initiatives a prodigious amount of data has been generated that are contained in the Project Completion Reports (PCR). An analysis of the database prepared from 440 Project Completion Reports for the period 1993-2015 indicated that the projects dealing mainly with 17 themes increased almost steadily in number from 1993 to 2012 with a slight decreasing trend till 2015. A similar trend is exhibited by the yearly total project funding and the average cost per project. In addition to the above, various laboratory facilities like Inductively Coupled Plasma Mass Spectrometry (ICP-MS), Stable Isotope Geochemistry, Laser Ablation Magnetic Multi-Collector Inductively Coupled Plasma Mass Spectrometery (LAM-MC-ICP), Ar-Ar Geo-Thermochronology, Thermal Ionisation Mass Spectrometery (TIMS), Accelerated Mass Spectrometery (AMS), High Temperature-High Pressure Experimental facility, Isotope Ratio Mass Spectrometer (IRMS), Palaeo-magnetic Laboratory, Fission track dating Laboratory etc. have been supported to different Universities/ Institutions to facilitate the earth science research in the country. 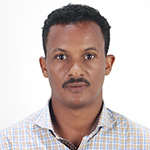 Ghebsha has been working as a lecturer in the Department of Earth Sciences at Eritrea Institute of Technology, Eritrea since 2009 and is a member of Geological Survey of Eritrea. Ghebsha has been awarded degrees, a Bachelor of Science in Geology from University of Asmara, Eritrea and Master of Science in Mining Engineering from Wuhan University of Technology, China. Currently, Ghebsha is a PhD student in Geochemistry at China University of Geosciences (Wuhan), P.R. of China. 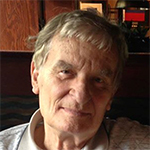 His areas of research interest include Precambrian geology and mineral deposit geochemistry. The granitoid-greenstone belt of Central Eritrea is part of the Arabian-Nubian Shield that was primarily formed by accretion of juvenile island-arcs during the Neoproterozoic. The supracrustal rocks in the study area are dominated by metavolcanosedimentary assemblages invaded by granitoid rocks. The metavolcanic rocks show large variation of major and trace element compositions that form linear correlations against SiO2, suggesting they are genetically linked and their variation mainly resulted from fractional crystallization. In general, they have flat chondrite normalized REE pattern with slight negative Eu-anomalies and rich in LILE (Ba, Pb, and U) but depleted in HFSE (Ta, Nb and Ti) in the multi-element diagram. They also have low initial 87Sr/86Sr, positive ɛNdvalues (+4.0 to +6.4) and moderate Pb isotopic compositions. These features indicate that their mantle source was significantly modified by slab-derived fluids and melts. The ca. 850 Ma Emba-Derho granites display restricted composition range with high SiO2, Al2O3, Na2O, Fe2O3T and low K2O. They have characteristics features of adakitic rocks with high Sr/Y ratio and low Y. The samples exhibit a highly fractionated REE and insignificant Eu-anomalies (Eu/Eu* = 0.89-1.07), while their multi-element diagram shows elevated LILE (Ba, Pb and Sr) and troughs of the HFSE (Ta, Nb and Ti). They also have low initial Sr (0.7008-0.7026) and high ɛ Nd (+4.7 to +7.8) implying their source is a juvenile oceanic crust. These geochemical compositions suggest that the granites were originated from high pressure partial melting of a subducting slab. Both the metavolcanic and the associated granitic intrusions are suggested to have been formed in a fore-arc setting. Fatiha Hadach is currently pursuing PhD at laboratory 2GRNT, Faculty of sciences Semlalia, Cadi Ayyad University, Marrakech, Morocco. 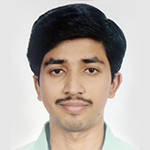 Suryapratapsingh Bhadauria is currently pursuing Master of Technology course in Petroleum Engineering. 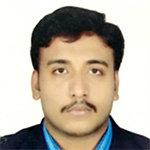 His expertise in defining the feasibility of various surfactants used in Enhanced oil recovery and open and contextual identification is based on phase behavior of solutions that means how is it change with the effect of high temperature and salinity, under the guidance of Uttam Kumar Bhui (Associate Prof.). He had acquired a sound overall knowledge of leading edge engineering principles, research and development, with emphasis on designing, modeling and testing of various surfactants used oil industries. He is proficient in the use of various experiments like UV-visible spectroscopy, Fluorescence spectroscopy, Zeta-particle, etc. He had done Bachelor of Technology in Mechanical Engineering from Gujarat Technological University, Gujarat, India and his expertise is mostly on Production, Manufacturing, Management Strategy, etc. His personal attributes include leadership and sound judgment as well as creativity, analytical and Managerial role and interact with various peoples from different backgrounds based on oil industries and done internship based on his research work. Ichhuy Ngo had done his Bachelor degree in Geo-resources and Geotechnical Engineering at Institute of Technology of Cambodia and Master Degree in Petroleum Engineering at Chulalongkorn University, Thailand. He is currently pursuing his doctoral degree in Resources Production laboratory in Kyushu University, Japan. His main research interest is enhanced oil recovery by using surfactant as chemical EOR. Harshsalinity formation brine has always put a challenge on surfactant EOR. Reduction of efficiency of the technique has been reported by many researchers. The main causes are the high adsorption and precipitation of surfactant. This experimental study investigates and provides a possible way to enhance oil production after surfactant has been adsorbed onto rock surface. Sodium dodecylbenzene sulfonate (SDBS), anionic type surfactant, was used to measure its adsorption onto Berea sandstone with the effect of formation salinity (3 and 5 wt. % NaCl). After that, degree of SDBS desorption was compared between using soft brine (1 wt. % NaCl) and synthesized formation brines. Study of effect salinity modification on oil recovery was then performed by spontaneous imbibition tests. Spontaneous imbibition test begins with synthesized brine (1st stage), followed by SDBS solution (2nd stage) and finished by synthesized brine or soft brine (3rd stage) on oil saturated cores. The results revealed that 1.8% and 5% improve in oil recovery was observed in the 3rd stage by using soft brine over 3 and 5 wt.% synthetic brine respectively. This increment was attributed to increase in SDBS desorption and better IFT reduction. Up to 32% of desorption was mitigated and it further lower IFT by 82% in using soft brine comparing to no salinity modification cases. Dr. Aleksandr Khaustov is currently working as professor of the Department of applied ecology at Peoples’ Friendship University of Russia. His Research interests are geoecology, hydrogeology, hydrogeochemistry, self-organization processes in geo-systems, nature management and environmental safety in oil& gas complex. His Research projects are on: hydrogeology, geoecology and nature management, IT for environmental safety, modeling of technogenic pollutions, environmental management; joint research and educational projects with universities in China, Mongolia, the USA and Germany. Dr. Margarita Redina is Dean of the Ecological Faculty, Peoples’ Friendship University of Russia. Her Research interests are geoecology, nature management, modelling of geosystems. Research projects on: geoecology, nature management, IT for environmental safety, environmental management. Using synergy concepts, the role of geochemical barriers (GCB) as an obligatory component of aquatic systems (AS) is shown. This is a fundamentally new approach to identify the role of GCB in the formation of the AS structure and substance flows. Models of identification and transformation of the processes of AS formation and material-energy flows through GCB are developed. Objects of analysis: AS of Lake Chokrak (Kerch Peninsula, unique salt lake, springs, mud volcano, hydrobionts complex, grass vegetation and soil in the zone of constant influence of the lake), marginal filters of the Northern Dvina and Aojian rivers. Processes in the AS were analyzed using data on marker substances - polycyclic aromatic hydrocarbons, PAHs (toxic, stable, clearly indicate a natural or technogenic pollution source). Indicators of the AS evolution intensity are changes in entropy, enthalpy and Gibbs energy of PAHs. Data were processed using multivariate statistical methods. For the various AS components, the leading factors determining the accumulation of PAHs have been highlighted, i.e. : for aquatic environments (solubility > Gibbs energy > hydrophobicity of PAHs); for lower hydrobionts (solubility > Gibbs energy), etc. The series of PAHs migration and accumulation activity were obtained. It has been shown that living matter plays an extremely important role in the evolution of AS. Different types of barriers are characterized by significant differences in the intensity of accumulation and permeability for marker compounds. The role of GCB is multifaceted; they form the geochemical appearance of natural and man-made dynamic systems and their evolution. The material has been prepared in the framework of the 5-100 project, financially supported by the Ministry of Education and Science of the Russian Federation (the Agreement № 02.A03.21.0008). Jaehwan Jeong has received his master’s degree in 2017 and currently pursuing for his Ph. D. degree at Sungkyunkwan University, Korea. The subject of the master thesis is estimation of soil moisture using TVDI and also trying to construct the soil moisture network in Korea. Currently, he is working as an author and co-author in various papers applying soil moisture and evapotranspiration. Soil moisture measurement using cosmic-ray sensor can provide hectometer scale soil moisture and extended understanding of the spatial distribution in soil moisture networks. The cosmic-ray neutron probe can be converted to average volumetric soil water content through calibration based on the samples of soil water content directly observed from in-situ within the footprint of the Cosmic ray sensor (CRS). However, soil moisture estimation using CRS is not enough to reproduce the dynamics in soil moisture at complex terrain and not fully validated. In particular, hydrogen pools from several factors of mountainous terrain such as the coexistence of various vegetation make correction more difficult. This study compared the universal calibration function and N0- calibration functions for a CRS in mountainous terrain. To evaluate the calibration functions, CRS was installed on flux tower station with rainfall measurement. The footprint of this CRS has nine frequent domain reflectometry (FDR) sensors for calibration buried at 10 cm intervals from 10 cm to 40 cm. Two calibration functions described soil moisture well during study period, but both functions couldn’t catch the sudden volatility of soil moisture by big rainfall event. This study may extend the application of a cosmic-ray sensor to mountainous terrain and contribute to improve the accuracy of soil moisture networks. Krishn Kant Sharma pursuing BS-MS dual degree at Department of Earth Sciences (DES) in Indian Institute of Science Education and Research (IISER) Kolkata. He is recipient of the Innovation in Science Pursuit for Inspired Research (INSPIRE) fellowship from 2014-2019 funded by the Department of Science and Technology (DST), India. He is a Physics and Computer programming enthusiast since his school days and after getting introduced to earth sciences, he was fascinated by Geophysics and its applications. Therefore, currently, he is working on upper mantle discontinuities beneath the Tibet at Seismic Tomography Lab, IISER Kolkata. Topography of the 410 and 660 discontinuities bordering the Mantle Transition Zone provides information on the thickness of the Mantle Transition Zone. This information can help address several geological properties like water content and thermal status of the Mantle transition zone and geodynamic questions like genesis of mantle plumes and fate of subducting slabs. To address questions regarding the northern limit of the northward advancement of the Indian slab and as to whether the slab extends to the Bangong–Nujiang suture (BNS) present in Central Tibet, this work has been carried out. The image of Mantle Transition Zone (MTZ) structure beneath the Central-Tibet region by applying three-dimensional Common Depth Point (CDP) stacking technique of receiver function for 120 broadband stations of two profiles located in my study area. From this data set, 1614 high-quality receiver functions are generated which are of teleseismic events that have an epicentral distance of 30⁰ to 90⁰ and magnitude greater than 4.5 Mb. Common Depth Point (CDP) stacking of all receiver functions resolves Mantle Transition Zone (MTZ), which appears thicker in Southern Tibet region from 28.5⁰ to 31⁰, mainly due to subduction of Indian Plate beneath the Tibetan plate. A slight thickening of Mantle Transition Zone is also observed in Central-Tibet from 32.5⁰N to 33.5⁰N mainly due to depression of 660 discontinuity which in turn may be attributed to the presence of mantle lithosphere of the Eurasian plate. Saiteja Kuruva is currently pursuing the final year of BS-MS dual degree from the prestigious Indian Institute of Science Education and Research (IISER)- Kolkata. He is also holder of DST INSPIRE fellowship provided by the Government of India. As a Programming and Data Science Enthusiast, he has chosen Geophysics as his majors, most recent research accomplished on “Study of Sediment and Moho Topography beneath Himalaya” which he is interested to continue working on in near future by attending these conferences and exchange thoughts, values and knowledge with the pioneers of Geosciences department. The Indo-Gangetic Plain is the seismically most vulnerable region due to high density of human population and presence of thick sediments that amplify the seismic waves due to an earthquake in the region. The Nepal Earthquake that occured on April 2015 with magnitude greater than 7.8 Mw affected more than 22000 people in that vicinity. We investigate the sedimentary structure and crustal thickness of the Kathmandu region through inversion of the receiver function time series at 30 broadband seismograph locations. Results show sedimentary layer thicknesses of ~6.0 km in the southern side of Kathmandu till Gadhimai region. A crustal thickness varies from ∼37 in the Southern part of Kathmandu to ∼57 km in the Northern Part of the Kathmandu and Vp/Vs ratio of ~1.86. The thick pile of sediments observed in our study region along with high population with poor construction, significantly amplifies the earthquake ground motion and hence produces large damage due to a moderate earthquake which can be mitigated by our studies. © 2018 Geoscience-2019. All Rights Reserved.